The Directors of Marlborough Gallery are pleased to announce an exhibition of new works by Tom Otterness. Collectively titled Tipping Point, the exhibition will open on Thursday September 14th, 2017 and will continue through October 14th, 2017. Tipping Point will consist of 19 new sculptures in bronze as well as 12 works on paper. The works range in scale from compact to monumental. The Directors of Marlborough Gallery are pleased to announce the opening of The Arctic Melt, an exhibition of the recent photographic work of Diane Tuft. The exhibition will open on Wednesday, June 21st, with an opening reception from 6-8 p.m. The work will be on view until July 20, 2017. The exhibition will be Diane Tuft’s third solo exhibition at Marlborough Gallery. The Directors of Marlborough Gallery are pleased to announce an exhibition of sculptures by the Spanish-born, world-renowned artist Santiago Calatrava. This will be Mr. Calatrava’s first solo exhibition with Marlborough Gallery since 2014, and the first presentation of his artworks in New York since 2015 when seven memorable sculptures— large-scale works in painted aluminum and stainless steel—were installed on Park Avenue. The exhibition will be open to the public from May 10 through June 17, 2017, with an opening reception on Tuesday, May 16 from 6:00 to 8:00 pm. It is with great sadness that Marlborough Gallery announces the passing of the Polish artist Magdalena Abakanowicz. Abakanowicz died on April 20th in Warsaw, Poland. She was 86 years old. 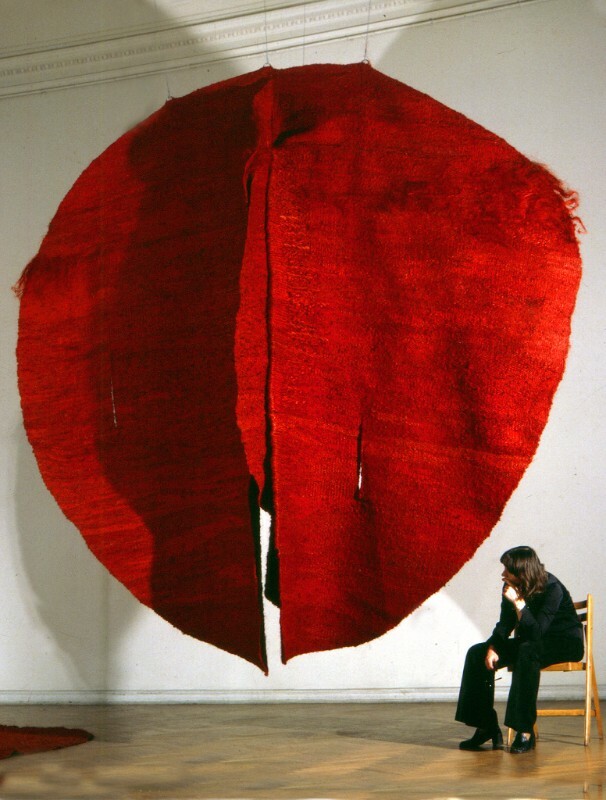 The artist with Abakan Red (1969), Zachęta Narodowa Galeria Sztuki, Warsaw, 1975. The Directors of Marlborough Gallery are pleased to announce a presentation of new works by the renowned Cuban painter, Tomás Sánchez, at the inaugural TEFAF New York Spring. The fair will take place at the Park Avenue Armory in New York City from May 4 – 8, 2017, stand No. 58. The Directors of Marlborough Gallery are pleased to announce that Marlborough Gallery will be featuring world-renowned artist architect Santiago Calatrava at Art Dubai from March 15-18, 2017 at Booth B11. Summary: Marlborough Gallery will be featuring Santiago Calatrava at Art Dubai 2017. The Directors of Marlborough Gallery are pleased to announce the first solo exhibition at the gallery of works by South African-born, U.S.-based painter Peter Sacks. The exhibition will include over 14 recent paintings as well as collage works on paper. The artist’s approach to painting includes utilizing the most intimate material residues of life —textiles, texts, and traces of objects—all transformed into active fields of energy, empathy and history. Each work by Sacks is a striking accretion of material, meaning, and emotion. The Directors of Marlborough Gallery are pleased to announce the opening of No Boundaries, a group exhibition featuring sculptures by thirteen women: Magdalena Abakanowicz, Alice Aycock, Lynda Benglis, Deborah Butterfield, Petah Coyne, Lesley Dill, Louise Nevelson, Michele Oka Doner, Beverly Pepper, Judy Pfaff, Davina Semo, Kiki Smith, and Ursula von Rydingsvard. The exhibition will open on Wednesday, March 8th and will remain on view through April 1st. The Directors of Marlborough Gallery are pleased to announce that Marlborough Gallery will be featuring Juan Genovés, Red Grooms, Tom Otterness, and Manolo Valdés at The Armory Show from March 2-5, 2017 at Pier 92, Booth 402. Artist Stephen Hannock Selected for Inclusion in "The Metropolitan Museum of Art: Masterpiece Paintings"
The Directors of Marlborough Gallery are pleased to announce that Stephen Hannock was selected for inclusion in The Metropolitan Museum of Art: Masterpiece Paintings, a monumental new volume that celebrates the greatest and most historically important paintings from the collections of the museum. The book features 500 paintings from The Metropolitan Museum of Art’s collection of over two million works of art. These works, created over a span of more than 5,000 years, are arranged in chronological order and each is accompanied by an essay by curator and scholar Kathryn Calley Galitz. The honor of being selected is all the more significant for the fact that just a small percentage of the chosen works are by living artists. Summary: The Directors of Marlborough Gallery are pleased to announce that Stephen Hannock was selected for inclusion in The Metropolitan Museum of Art: Masterpiece Paintings.